We are excited to announce that on Tuesday, October 27th we will be hosting a free webinar in partnership with Forrester Research and Rocket Fuel. Join us at 1 pm EST/10 am PST and register here as we explore The Union of Mobile Advertising, Data Analytics, and Platforms - and what that means for marketers & advertisers as attention is turned to 2016. 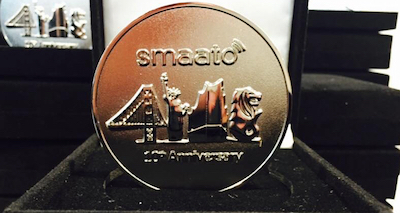 Smaato is the global real-time advertising platform for mobile app developers and publishers and has been pioneering innovative, mobile-first solutions for publishers since 2005 -- And on Tuesday, August 18th, Smaato turned a whole decade old. The momentous occasion was marked by company-wide anniversary celebrations across the world from Singapore to San Francisco and Hamburg to commemorate this significant achievement. 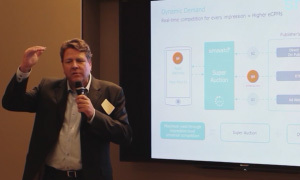 An elaborate cake with ten candles was served at the Fairmont Hotel at Smaato's HQ city in San Francisco, along with a poignant speech given by CEO & Co-Founder Ragnar Kruse to toast his company.